Salford able to deal with your pest control problems for rats, mice, squirrels, house flies, cluster flies, ants, cockroaches, pigeons, pest birds and wasps whether you are a domestic or commercial customer. We are accredited members of the National Pest Technicians Association and have over twenty years experience in the pest control industry. Discreet Pest Control provide a rapid response to pest problems in Salford Manchester Irlam Eccles Trafford Park Swinton Pendlebury Walkden Worsley and Boothstown. Call 07770 232955 for more information or contact us online. 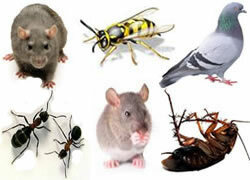 Discreet Pest Control Salford offer a complete solution to domestic or commercial pest problems. We will quickly control pest problems caused by rats, mice, ants, cockroaches, pigeons, birds, squirrels, house flies, cluster flies, pest birds, and wasps nests. Discreet Pest Control have a wealth of expertise gained from over 20 years working in the pest control industry. 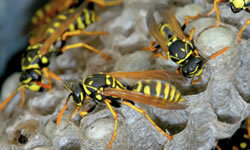 We will eradicate pest problems safely, efficiently and in a discreet manner. With the technical expertise to identify solutions based on our knowledge of pest behavioural patterns, their infestation rates and the likely recurrence levels. We will recommend and install tailored pest control treatments and pest prevention programmes that effectively deal with the problems that arise and help you comply with current Health and Safety legislation. Call 07770 232955 for more helpful advice and information or contact us online and we will call you back. Rapid Response Pest Control in Salford Manchester Irlam Eccles Trafford Park Swinton Walkden Worsley Pendlebury and Boothstown Call Discreet Pest Control 07770 232955 for fast service.